A small website which is informative, concise and professional in image. A Homepage with fading images, contact info, strong branding and well optimised text content. Products page with images and information on the various welding equipment, engineering products and consumables on offer from welding torches to PPE (Personal Protective Equipment) and a Secure online contact form. 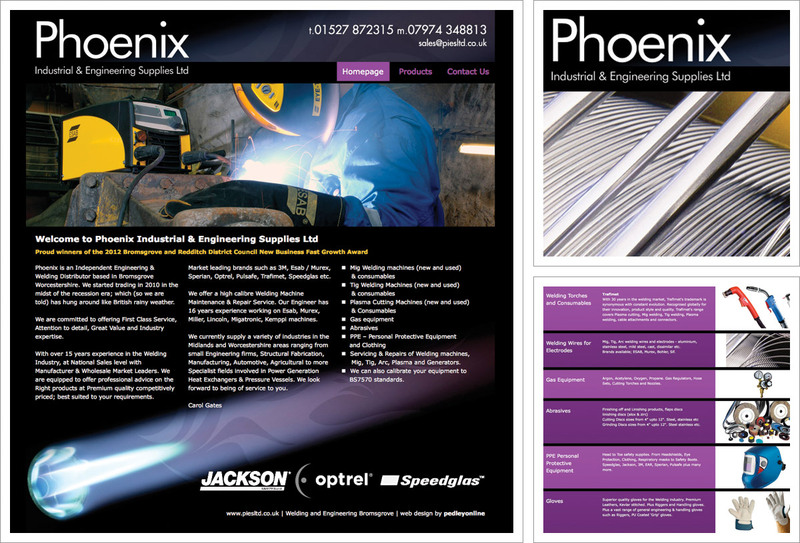 The new website provides Phoenix with a valuable web presence which can be built upon with the addition of new content over time.